Model HRM & PRM roller mill are new equipment designed by digesting and assimilating advanced technology introducted from other countries, It through grinding rollers to roll & press the materials(0-40mm)on the rotating grinding pan with pressure and grind them to be reached up to the relevant fineness. It has good advantages of high grinding efficiency, big drying capacity, product fineness is easy to be adjusted, low noise, low powder consumption, simple process flow, low abrasiveness, operating cost saving and ect. 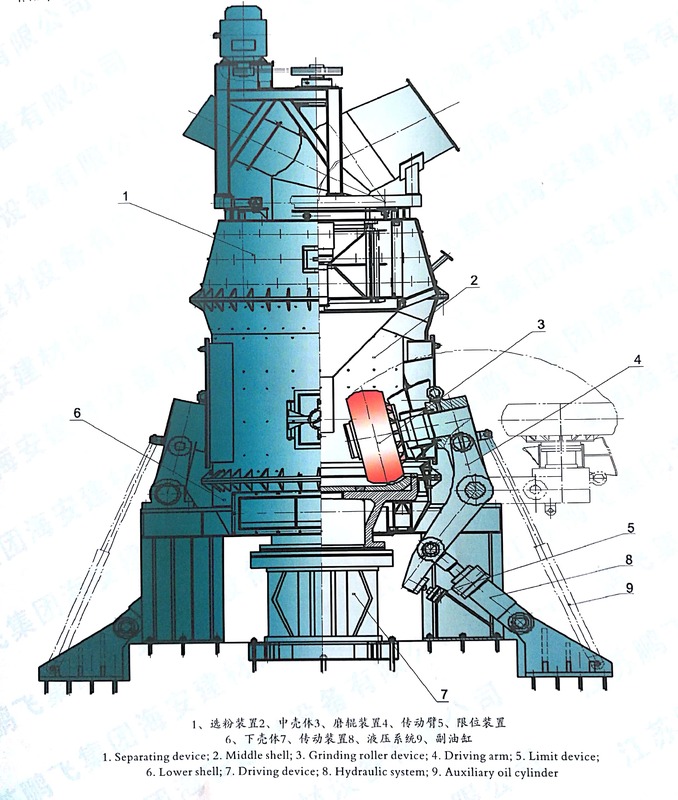 Under the same process conditions and rotating speed, grinding pan diameter, material level, grinding roller pressure are the same, grinding efficiency of Model PRM roller mill can be raised more than 30%,average power consumption can be saved about 8.2%, and impact vibration of the overall unit could be obviously reduced. With international advanced technology and nation leading manufacturing quality, it has passed the Ministry-level test and listed as state-level new product in 1995.